Note: This is ONLY for XT910 variants. Flash at your own risk. If you brick the phone, it is a risk you have to bear. We will not be held responsible. DO SO AT YOUR OWN RISK. This is what happened to me.. i purchased a brand new Motorola Razr XT910.. and soon after that, before i even rooted the device.. i did the OTA update.. BIG MISTAKE.. turns out the new firmware 65.1.21.xt910 cannot be rooted. So the only way, at least as I am writing this guide, is to downgrade, root, protect root, and revert back to 65.1.21.xt910. So here is a guide from almstag, of XDA-Developers forum, which is the guy who’s post helped me root my phone. First, you will need some files.. download these in advance. OK.. currently there is no Fastboot for 65.1.21.XT910.PSHAsiaRetail.en.03, so we are going to do, is to flash Europe’s Fastboot file 651.73.23.xt910.retail.en.eu to your phone. Step 2: Root your phone..
2.6 Thats it.. your phone is now rooted. 3.1 Install Razr Bootstrapper (APK) to your phone. Ok.. now for the difficult part. What if you encounter problem at step 3. I encountered installation aborted error message. No matter how many times i try, i still get that error message. Thanks to almstag from XDA-Developers forum, he taught me what to do. 8. After complete, wipe cache, and then reboot. DONE! you can now proceed with step 4. It works. I'Ve done this on my Droid. Malaysian too btw. Yes, it really does work.. at least on my Malaysian XT910..
Hey Harold thkz alot for this! i downloaded all the other files ready accept for the fast boot file seem like its remove or link down? and for 65.1.12.XT910.PSHAsiaRetail.en.03, I cannot share the 3G network by wifi hot spot, is there any solution? 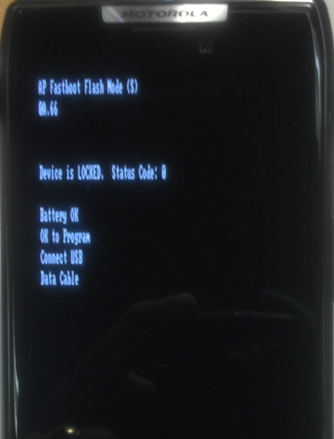 Last question, http://www.4shared.com/zip/K5sSRyU7/RAZR-651_73-spd-ird-12.html for this rom, what the function it is?? Will I lose all data with step 1? thanks for your comments.. v4 works just fine for me..
OTA rootkeeper? thats what i use to protect root..
zmarsun, it is the rom to restore just incase you cannot restore back to pshasia ROM..
i guess the link to rom might be down due to the file sharing site being sued..
i'll try to upload the ROM again tonight..
Harold, have you got ICS yet?